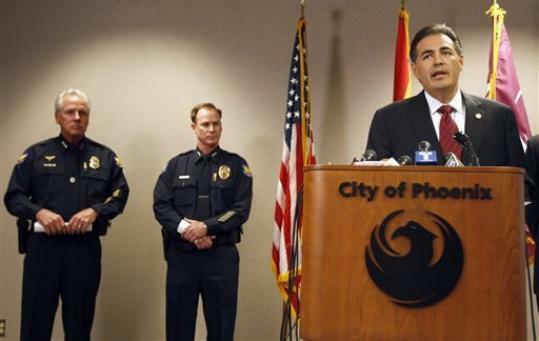 On Thursday, March 3, 2011 at 1430 hours, City Manager David Cavazos convened a press conference at the Phoenix City Hall building to announce that he was re-assigning Chief Harris to oversee other public safety functions and Executive Assistant Police Chief Joe Yahner was appointed interim Police Chief assigned to control all police operations and required to report directly to Asst. City Manager Ed Zuercher. See the related news videos below for further information.